"We loved the one bedroom villa with lounge." Have a question for Mentigi Bay Dome Villa Lombok? "The villa also suitable for with a group of friends or family." "It had private lounge and it was amazing with private pool." "Located near Teluk Nara (port for private speed boat to Gili Trawangan etc), these villas have a unique dome architecture design and breathtaking sea view." "The staff are lovely and lots of fun, I was travelling alone..."
Well-positioned in Senggigi, Mentigi Bay Dome Villa Lombok is the ideal point of departure for your excursions in Lombok. Situated only 16 km from the city center, guests are well located to enjoy the town's attractions and activities. With its convenient location, the hotel offers easy access to the city's must-see destinations. 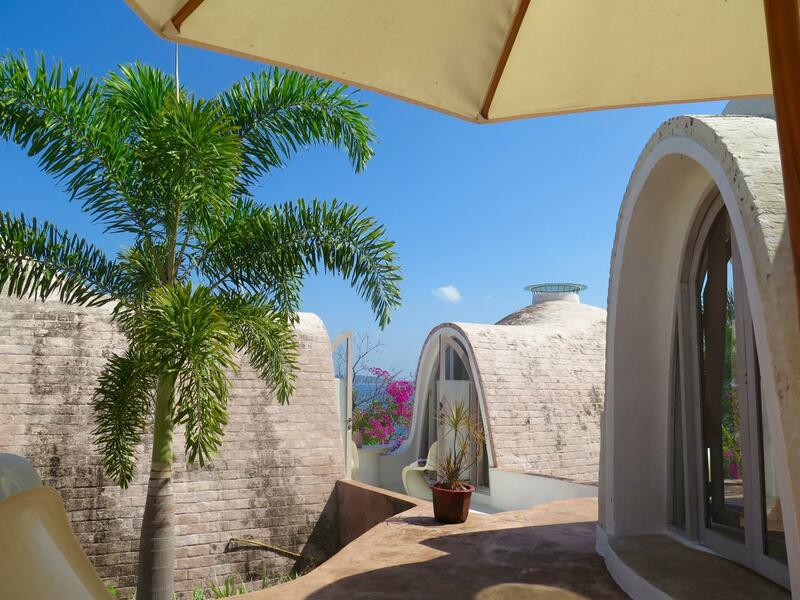 At Mentigi Bay Dome Villa Lombok, the excellent service and superior facilities make for an unforgettable stay. A selection of top-class facilities such as 24-hour security, daily housekeeping, fireplace, free Wi-Fi in all rooms, kitchen can be enjoyed at the hotel. All guest accommodations feature thoughtful amenities to ensure an unparalleled sense of comfort. 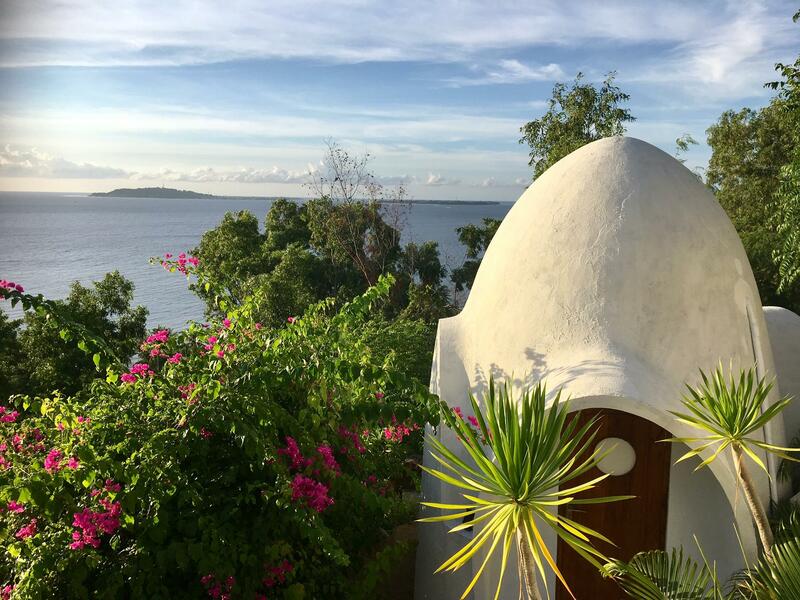 The hotel offers an excellent variety of recreational facilities, including boats, canoe, snorkeling, watersports equipment rentals, yoga room. Discover an engaging blend of professional service and a wide array of features at Mentigi Bay Dome Villa Lombok. "The domes are gorgeous, clean and have great air conditionin..."
One of a kind establishment but very low maintenance.. stained bed sheets dan pillows, dusty and musty.. doors need fixing, spider webs under the furnitures.. on top of all the bad things, the staff; Mr.Hardie is very helpful! Place not as u see real pictures! Dirty! Room really small! Mattress dirty,nvr do cleaning at all. And one things they nvr mention abt the toilet was open , when u shower , people frm top could see everything u do. I did booked it but after i seen for myself i just walked away and leave it. We loved the one bedroom villa with lounge. It had private lounge and it was amazing with private pool. The beach is walking distance too. Would definitely return to this hotel. Highly recommend for the views and sunsets, it’s the most beautiful place I have stayed in Bali. 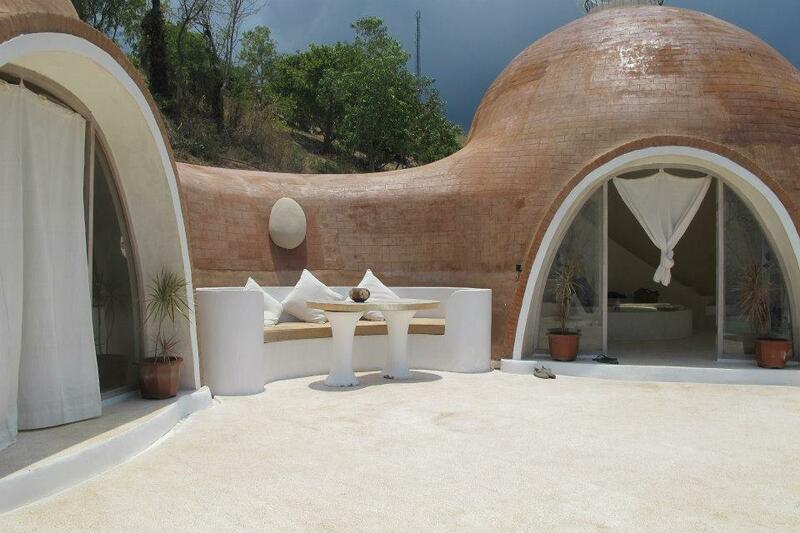 The domes are gorgeous, clean and have great air conditioning. The staff are lovely and lots of fun, I was travelling alone and they made an effort to keep me company. We danced, sang and exchanged language lessons. The breakfast was very simple Indonesian and no alcohol, but it was only a $3AUD bluebird taxi ride to get to Sengiggi which has western, Indonesian food and lots of beach clubs. Like anywhere in Lombok it’s hard to avoid early morning wake up calls from a nearby mosque, this one is right next door to one and is very loud. I traveled with ear plugs and slept beautifully through every prayer session. Great place for total serenity and privacy. Thank you to Hardy for taking such superb care of us. The views are phenomenal. The bathrooms are 'interesting'. Wish we had longer... Definitely worth staying at Mentigi Bay Dome Villas. A trully hidden gem in Lombok. Located near Teluk Nara (port for private speed boat to Gili Trawangan etc), these villas have a unique dome architecture design and breathtaking sea view. Perfect for honeymoon and family vacation. Although google maps can be misleading and transport could be an issue, Ms. Prita the lovely owner has been very helpful, friendly and responsive since the beginning. Many thanks to Ms. Prita & Pak Agus for arranging accomodation. Us a group of 6, paid almost USD1K for 2 domes 2 nights. Upon arrival, realized no air-conditioner but only 1 air cooler plus 1 fan. Only fruit, plain bread, jam, omelette and coffee for breakfast, exactly same dishes for both days. Hi Yean, thank you for your review. I'm sorry to hear about your experience. We place portable air conditioners in the bedrooms instead of wall AC's due to the fact that there are no straight walls. Regarding the breakfast, we appreciate your comment and will reflect and improve from this. We hope that your holiday was not too much negatively affected by all this. Safe travels! 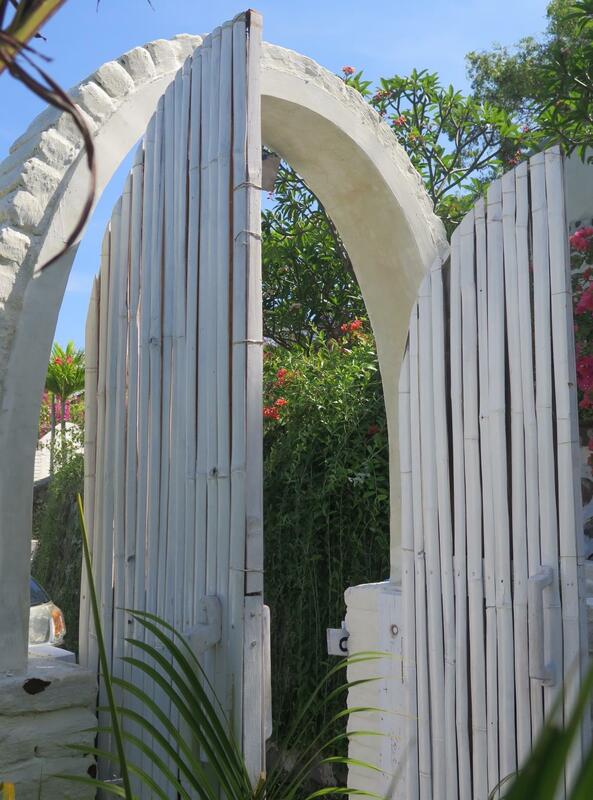 This is the best villa in senggigi area, is facing the beach view with beauty sunset. The villa also suitable for with a group of friends or family. Strongly recommended!!! Hi Alexandra thank you so much for your lovely words about the Mentigi Bay Domes, and deepest apologies about the scorpion incident you had. We will make sure this will not happen again to our future guests, and we’d like to let you know that our staff is learning better english every day :) It was so lovely to have you stay with us, we hope to see you again! i am stay in thie villa and very nice view and good location. you can see a gilli island and sunset in lombok.. cool and awesome. Panas, hanya bagus di view. Pemandangan dari hotel ini bagus sekali, sayangnya kurang ada hiburan seperti TV tidak ada, dan AC freon tidak ada, adanya AC dengan isi an air saja. Mentigi bay dome villa sangat cocok untuk pasangan muda, untuk honeymoon atau group. Buat yg suka petualangan dan suka dengan alam sangat cocok tinggal di sini. Tidak cocok untuk keluarga yg bawa anak kecil krn villa banyak tangga dan jalan menanjak. Pros : - bentuk villanya unik cocok buat yg suka foto-foto - pemandangan dari freedome villa atau wisdome villa sangat bagus & keren - suasana tenang & sepi jauh dari keramaian krn lokasi berada di atas bukit & villa sangat privasi - pelayanan sangat baik, staff & sekuriti semuanya baik, ramah juga sangat membantu ( Agus, Mugni dll ) - sarapan standar & simpel Cons : - tidak ada TV, kulkas dan hair dryer ( di coco dome villa yg untuk 2 org ) - tidak ada air panas dan tekanan shower air sangat kecil - kamar banyak semut terutama daerah stop kontak sebelah kasur ( coco dome villa ) - AC kurang dingin dan tidak berasa terutama pada siang hari Overall I'm satisfied and definitely will come again next time.